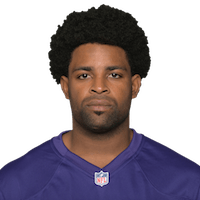 Published: Nov. 25, 2018 at 03:33 p.m.
Baltimore Ravens wide receiver Michael Crabtree hauls in touchdown vs. former team. Published: Oct. 14, 2018 at 04:57 p.m.
Baltimore Ravens wide receiver Michael Crabtree catches a 4-yard touchdown from quarterback Joe Flacco. Published: Sept. 9, 2018 at 06:12 p.m.
Baltimore Ravens wide receiver Michael Crabtree scores on 12 yard touchdown pass from quarterback Joe Flacco.